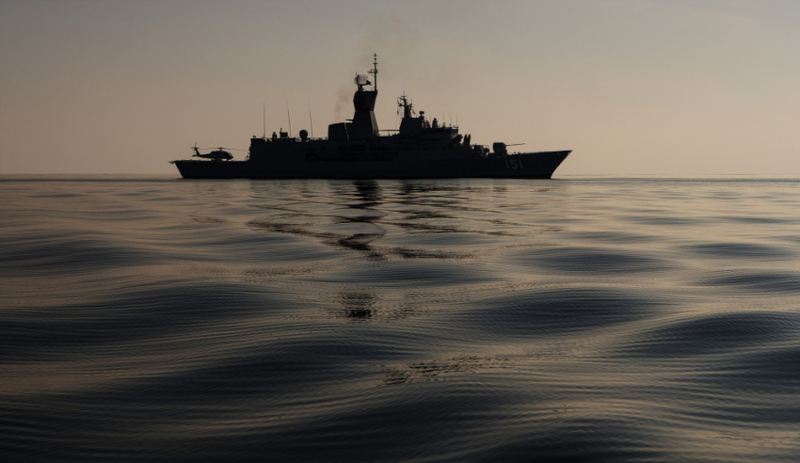 HMAS Arunta, one of the Anzac-class frigates to be replaced under project SEA 5000, on patrol in the Middle East region. Image via Commonwealth of Australia, Department of Defence. Minister for Defence Marise Payne has refused to disclose information and correspondence between Defence, ASC, Austal and the three Future Frigate tenderers, claiming doing so would damage Australia’s international reputation. Senator Payne argued any release of correspondence, information or documents related to the SEA 5000 Future Frigates Project would not only harm Australia's reputation among the selected tenders, but also impair the government's ability to negotiate the best deal for Australian tax payers. "Releasing tender information at this time could also adversely affect Defence's ability to negotiate a contract that protects the interests of the Commonwealth and achieves the best value for money for Australian tax payers," argued Senator Payne. "What this order of the Senate would have us do, frankly, is to damage the Future Frigate tender process to allow it do be derailed, to damage our professional reputation internationally. that's why the government has claimed pubic interest immunity. That's why the release of the documents would have the potential to damage our national security and defence interests and our international relations." At last week's Senate hearing into Australia's naval shipbuilding industry, Senator Carr presented claims Capability Acquisition and Sustainment Group (CASG) deputy secretary Kim Gillis and other CASG representatives spoke with all three international tenders and told them to ignore Austal and ASC Shipbuilding's teaming arrangement to act as builders on the project. Senators Xenophon and Carr have rubbished the government's claim for public interest immunity, arguing the government is forbidding the Senate from holding the government to account and ensuring sovereign capability is achieved.